This month you get a bonus supplement of Aussie homes. 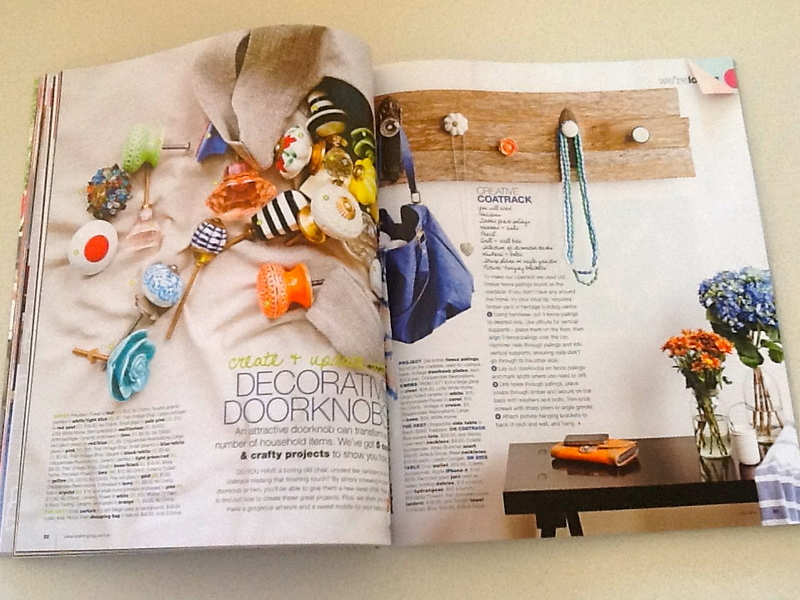 I don't want to spoil it for any of you Real Living lovers out there but I wanted to show you one article that they are show casing different ways to decorate with door knobs. I have been oggleing off all of Anthropoligie handles/knobs for some time for my only little makeover of my Tall boy. 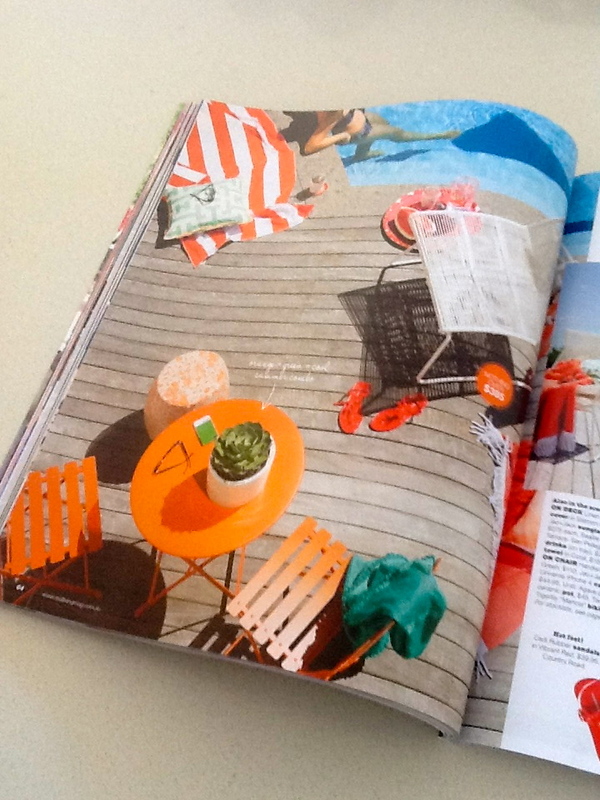 They are featuring 5 different DIY projects that you can do with them. 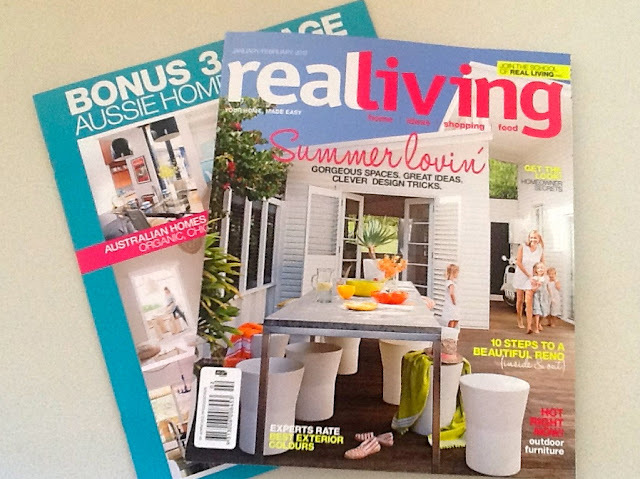 Real Living are also running a second class of "The School of Real Living". It is going to teach you how to create a functional home office. it is being held in Sydney and is $30 a head. If you are in Sydney and are going to go, please let me know what it is like. I have a subscription, so I got this last week, but it goes on sale everywhere else today. For those that don't have a subscription or have not checked it out before, I recommend. It is my starting point for all of my Palace projects. i wish i'd seen this blog post 1 year ago. at that time i was in the throes of decision making re: handles for my tallboy.